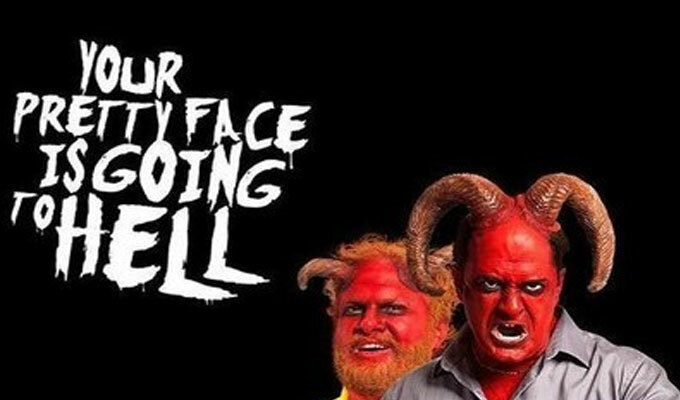 Your Pretty Face is Going To Hell, a live action comedy from the creators of Aqua Teen Hunger Force, Squidbillies and Stroker & Hoop is casting some extras in the Atlanta area. Some time back, Deadline reported that the Adult Swim series would be back for another season and episodes are currently filming. 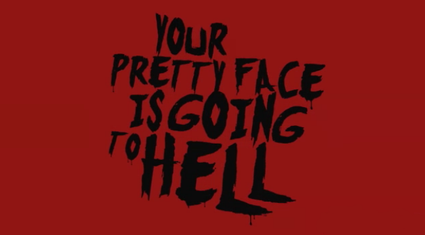 Your Pretty Face is Going to Hell is a live action, adult oriented, series about a demon who is trying to capture souls on Earth to climb the ladder in hell so to speak. The show is set as a workplace comedy and Gary( Henry Zebrowski) the demon works in the office where he is often undermined by his pretty devious co-worker and his boss is literally Satan. The show stars Matt Servitto (Banshee, The Sopranos), Henry Zebrowski (The Wolf Of Wall Street) and Craig Rowin (Night Of Too Many Stars, @Midnight). We are now casting for the [ADULT SWIM] Original Series ‘YOUR PRETTY FACE IS GOING TO HELL’. This will be filming in the Atlanta area and all roles are paid! Please carefully read the requirements for each role to increase your chance of being selected. Please use the correct subject line(s) for each individual role and see below for how to submit. Seeking a “Greaser Type” – biker, Hell’s Angels, etc. – Burly, bearded, rough and tumble, character face MALES to portray a “tortured soul” down below. Any ethnicity, ages 35+. Please list in your submission if you have ever worked on YPF in the past. Seeking additional “tortured souls” down below – MALES and FEMALES, any ethnicity, ages 18+. A handful of Souls will appear throughout production, so please list your availability in your submission!! Please list in your submission if you have ever worked on YPF in the past. Seeking a MALE to portray a featured producer. You MUST be available to work BOTH DAYS. This will be PHOTO SELECTED by the director, so please submit your best photos. Please list in your submission if you have ever worked on YPF in the past. Seeking a MALE and FEMALE to portray producers, any ethnicity, ages 35+. Please list in your submission if you have ever worked on YPF in the past. Seeking a FEMALE (or a MALE) to portray a nurse, any ethnicity, ages 25+. Please list in your submission if you have ever worked on YPF in the past. Seeking character face MALES of all sizes to portray a “Demon” at a convention. Any ethnicity, ages 25+. You should not be allergic to makeup/prosthetics. You should be available for BOTH days, but may only work one or the other. Please list in your submission if you have ever worked on YPF in the past. Seeking a MALE or FEMALE to portray a server at a steakhouse, any ethnicity, ages 20+. Please note if you have any real life food service experience in your submission. Please list in your submission if you have ever worked on YPF in the past. Seeking a FEMALE to portray a frightened woman who is comfortable screaming at the top of her lungs, any ethnicity, ages 25+. Please list in your submission if you have ever worked on YPF in the past. Seeking a MALE and FEMALE who are real life models or are drop dead gorgeous to portray MODELS, any ethnicity, ages 20+. MALES should be taller than 6’ and FEMALES taller than 5’10”. Please list in your submission if you have ever worked on YPF in the past. ‘Your Pretty Face’ is a Union show and all background actors are hired at Union wages. When submitting, if you are already a member of the Union/SAG, please include “UNION” in your submission. Additionally, we will be collecting Station 12/Taft Hartley information from all BG who work on this show, so please be prepared to provide that information to a casting associate. My name is Joyce and I’m currently working on the series Nashville. We are coming to a season close this week and I would like to branch out to Atlanta and keep working. I don’t know how this works so if you could please inform me of what I need to do, I would appreciate it. I love Adult Swim. My name is Joey belcaster and I am a stunt performer and actor. I am 18 years old with a slim muscular build of 150 LBS at 5″11. I believe I could be a good fast food Patron as I have worked in restaurants before. I would love the chance to be on Adult swim. please contact me for more information. I am a singer-songwriter and I have quite a great personality.